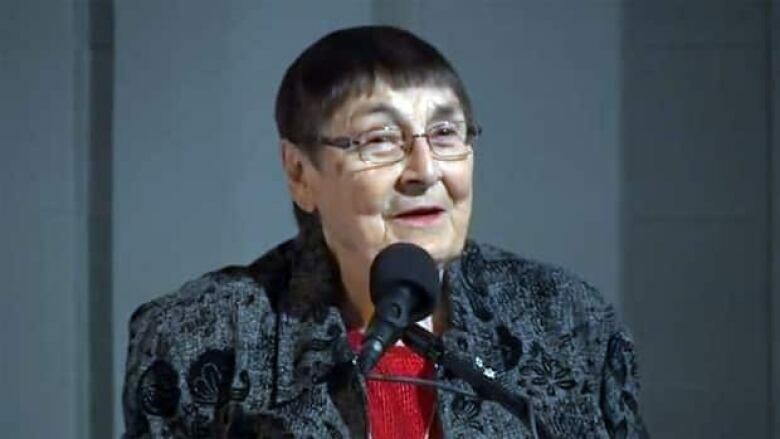 Former Saskatchewan lieutenant-governor Sylvia Fedoruk, a pioneer in the use of radiation for cancer therapy, has died at 85. A family member confirmed the death Thursday to CBC News. Fedoruk had recently suffered a fall and died Wednesday night in hospital, CBC has been told. "Sylvia Fedoruk was the embodiment of Saskatchewan innovation and spirit and an inspiration to all she met," Premier Brad Wall said in a news release. Born in Canora, Sask., in 1927, Fedoruk moved with her family to Ontario, but later returned to Saskatchewan. She was a university athlete, participating in basketball, volleyball, golf, softball and track and field. She was also a champion curler, and was inducted into the Canadian Curling Hall of Fame in 1986. Joining the Saskatoon Cancer Clinic in the 1950s, she became known for her work with the Cobalt-60 Beam therapy unit, which was used to treat tumours deep within the body. "Literally thousands and thousands of people had their lives extended because of this work that she pioneered in this area," said longtime friend Vera Pezer, who is the chancellor at the University of Saskatchewan. Fedoruk will be remembered in so many areas, Pezer said. "Personally and in competition and everything, she didn't fit the stereotype for the female role model at that time anyway," she said. "She was a groundbreaker." Fedoruk became Saskatchewan's lieutenant governor in 1988. She was also a former chancellor with the University of Saskatchewan and an officer of the Order of Canada.